A flexible high build elastomeric seamless waterproof membrane. Also available in a Solar Reflective finish. Bedec Superflex Elastomeric Coating for Roofs and Walls, a thick flexible coating that prevents leaking roofs, gutters, corrugate sheets, asbestos, copper, roof tiles and walls. Bedec Superflex Elastomeric Coating for Roofs and Walls is a flexible and elastic coating, quickly applied by brush which dries to form a high build, seamless waterproof skin. Economically prevents or cures all types of leaking roofs, gutters and walls. Easy to apply, Superflex remains flexible and elastic to allow for movement of the substrate forming a long-life protective coating for weatherproofing walls and roof tiles. Bedec Superflex Elastomeric Coating is primarily designed for roof tiles but can be used to aid the protection of walls too. Superflex is an easy to apply product that provides surfaces with a seamless, high build film that works excellently to resist water damage. Suitable for use on almost any surface including roofing tiles, brick, corrugated iron, asbestos, copper, etc. Bedec Superflex Elastomeric Coating for Roofs and Walls can be applied using brush, roller or airless spray and has a theoretical coverage rate of 2m2 per litre and can be purchased in 2.5, 5 and 20 litre tubs for larger jobs. Bedec Superflex Elastomeric has a drying time of approx 4 hours at 20°C. This will increase at lower temperatures. Please consult manufacturer's product data sheet prior to use. Not suitable for applying to surfaces that have no run-off, or where water will pool. Bedec Superflex Elastomeric Coating for Roofs and Walls can turn an old dingy looking roof into a brand new looking roof with the application of tile red roof tile paint. Not only can Superflex be used on Roof Tiles but is available in other colours too for use on brick, corrugate iron, asbestos and copper, to name but a few. 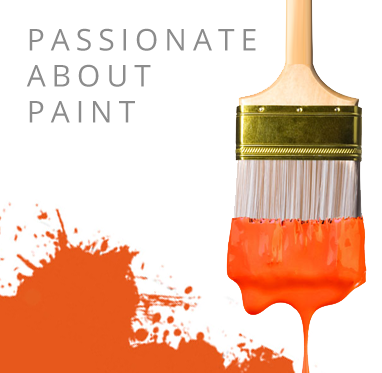 We have a wide range of external paints, sealers and products available here at Promain from masonry paint to multi surface paint, so no matter what you're looking for we can help. If you can't find the product you're looking for, or have some questions about a product, give our team of experts a call, they're more than happy to help. Tintable: Upon Special Request, Depending on Quantity. Please note, bespoke tints are non refundable / exchangable. 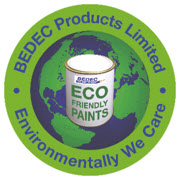 A quick drying, water based, non-yellowing enamel for interior and exterior woodwork.